Until 13 April 2019. Heritage Gallery. Learn more about the development of health and well being in Victorian Rochdale through to the advent of the NHS in the 1940’s. This exhibition will look at how medicine and healthcare went from being a luxury for those who could afford it to a service available for everybody. 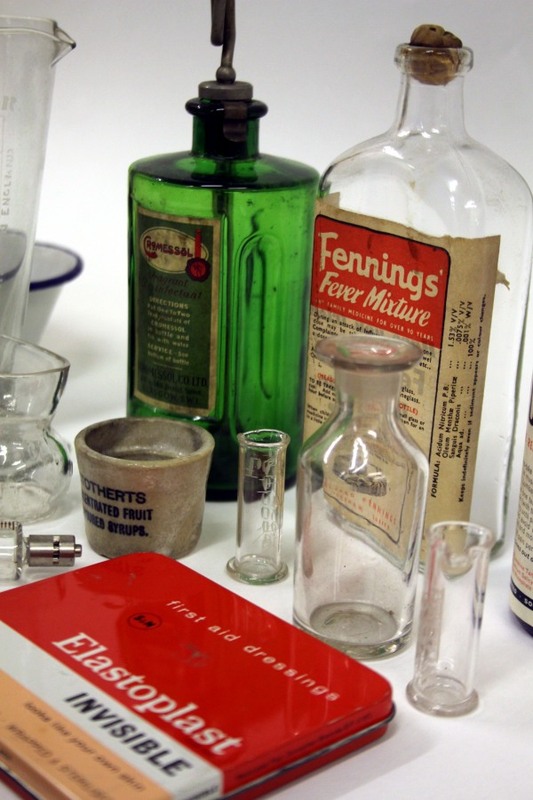 Featuring a range of objects that have never previously been displayed and have been donated to the museum collection from various donors including Birch Hill Hospital and Rochdale Infirmary. Highlights include a beautiful wooden home medicine chest, a selection of poison bottles and a nurses uniform alongside a selection of medical instruments and a horrifying dental drill. Working in partnership with Manchester University to celebrate the NHS turning 70, the exhibition will tell the stories of local people and their experiences of the NHS through a series of oral history recordings. There will also be loaned objects from the Museum of Medicine and Health. The show will also include a display created by people living with dementia who attend the Alzheimer’s Society Memory Cafes within the borough.